I came from a sports background, and enjoyed organising the sports dinners and corporate events. I worked at Prior Park College in Bath for a year, but when the job came up at Old Down I fancied a challenge. What does being a Hospitality Manager entail? I personally oversee all weddings, conferences and events in the Manor House, from start to finish. The focus of my work is to give guests a first-class experience. For couples this means ensuring they have that ‘wow’ factor from the second they walk into the Manor, so that they have the best day of their lives. What do you think attracts people to Old Down? It’s hard to pick one feature. The Manor brings charm, and the gardens are glorious, especially in the summer. The orangery brings the two elements together beautifully. The whole setting really puts people at ease. How do you make sure no two weddings are the same? No two brides are the same! It’s our pleasure to make sure that a couple’s personality comes through. They can choose the flowers, decorations, food, drinks and music to make sure the day is their own. We can cater to between 30 and 120 guests in the day, and up to 200 in the evening, and people can get married at Old Down all year round. There are also several options for ceremony location on the Estate including the Manor House, Orangery, the Barn and the Pergola. It just comes down to what would make the couple happy. The Bride and Groom will have planned the wedding with our dedicated wedding team, so my involvement begins a few days before when I am given bespoke instructions. I am big into my sports and I think of this as the team tactics for the day. My team includes Nick the Bar Manager, and Alex the Event Supervisor alongside a healthy number of event-specific staff. One role I particularly enjoy is assisting the bride and her party in getting ready for the ceremony – the mother of the bride gets particularly tense, so it’s my job to make sure they relax and enjoy themselves. 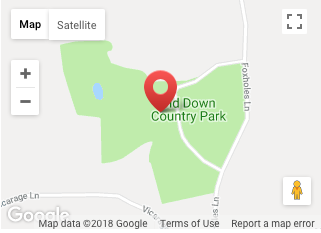 What other events does Old Down host? In recent years we have held corporate events for companies such as Airbus, Rolls Royce and Highways England. These typically involve team-building exercises around banqueting tables, presentations given on our projectors and long lunches. However, occasionally we do get some unusual events. One that sticks out in my memory was when an adventure group came and kidnapped a member of their party, with everyone else having to rescue them following clues around the grounds. Another party were locked in the cellar and had to tackle various tasks to get themselves out within an hour. We are flexible to all requests! Then in the Manor we host afternoon teas and cinema nights. We try to theme these to get people in the mood. Meanwhile outside events include the Santa parade and summer festivals. 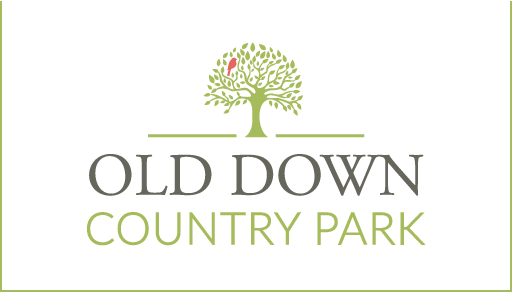 What has been a highlight of your time at Old Down? When we won the Regional Highly Commended Events Team for the South West, awarded by the Wedding Industry Awards last year. We love our jobs, so it’s great to be recognised for what we do. Plus, we got to have a good old knee’s up. I look forward to spending time with my family. I got married in October last year, and my son is 10, and a keen sportsman – he would have to be!